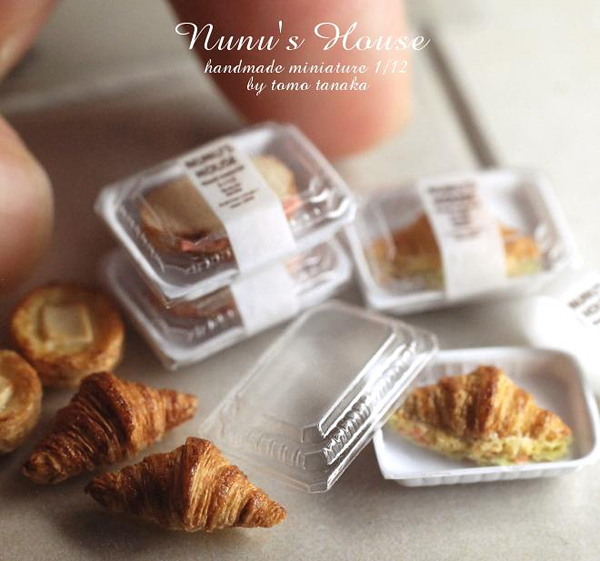 Japanese artist Tomo Tanaka’s highly detailed miniature dishes. Although each dish looks delectable, the mouth-watering glazes and textures are deceiving. The dollhouse-sized food items that would barely amount to a mouthful are actually made out of clay and epoxy. Every item is made to scale – precisely 1/12 of the original size – which makes all of the objects look like they came from the same miniscule realm. He produces the tiny masterpieces under the brand Nunu’s House and sells to collectors and hobby enthusiasts. Such a fine ,special, original, wondrous & creative artist! I am in awe of your talent . Thank you for sharing your heart with the world. I wish I could take a class from you ?